Former 24 year old economics student Mohammad Badrawi currently lives in West London but spent most of his life in Egypt where he was born. He spoke of mixed feelings about the current situation in his home town. The issues surrounding President Mubarak and the reasons for these protests taking place are fairly new to most people in Britain. British born Egyptian Mona Moussa aged 24 from North West London, told People with Voices there is a widespread misconception about the relationship between President Mubarak and the Egyptian people. “Mubarak has always been unpopular and hated by the people. The western world seems to think that President Mubarak must have been liked by his people because he has been re- elected numerous times with a 99 per cent majority vote. 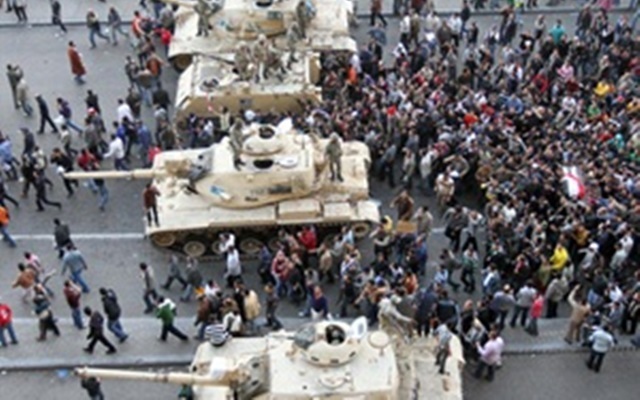 Egyptians living in the UK have supported family and friends back home by organising rallies and protests. Mr Badrawi attended Sunday’s protest outside the Egyptian Embassy in Mayfair. “There needs to be a change in the current constitution in Egypt as it doesn’t allow anyone to be elected except for Mubarak and his son. This is why it is essential he resigns so that these measures can be put into place,” he told People with Voices. Tourism accounts for around 10 per cent of Egypt’s GDP and one fifth of its foreign exchange earnings, making it key revenue for the country. In 2009 to 2010 the country's tourism revenue hit $11.6 billion.